Backyard Bee Hive Blog: Are your supers on? The honey… err… WAX flow is on! Are your supers on? The honey… err… WAX flow is on! May is our rainiest month and this one did not disappoint. Thursday's hail storm took out quite a bit of the Honey Locust bloom, but I can already smell the SweeTarts® aroma of Russian Olives in the air. Your "supers" should be on so that the bees can take advantage of the nectar flow to draw comb. For us top bar beekeepers, now is the time to remove the follower board/false back if you haven't already and insert new bars. Warré beekeepers, whether you super or nadir, do it now. Here comes the honey! 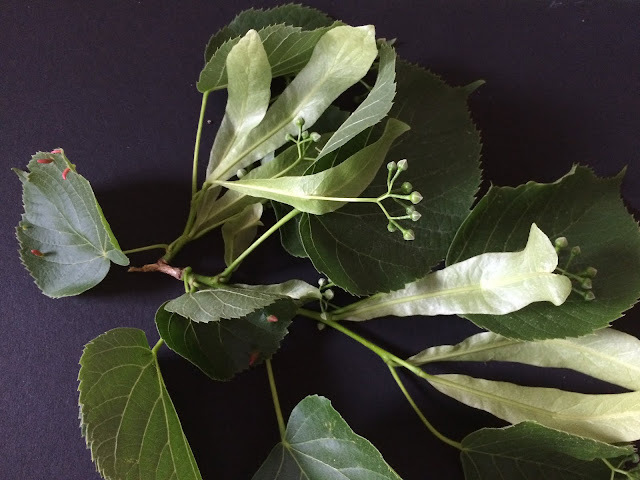 Linden trees are the host plant for eriophyid mites, evidenced by leaf galls (red protrusion at left). Already forming tiny buds and the tell tale tongue (bract), the Linden trees will need all of June to develop huge canopies of award-winning honey-producing blossoms. All the while, yellow sweet clover will sweep across undeveloped fields. This is your window of opportunity to get your bees to draw comb. Don't miss out. Get your supers on today! Your might also be interested in Foraging linden: which parts are edible, and how to use them? Good tip! 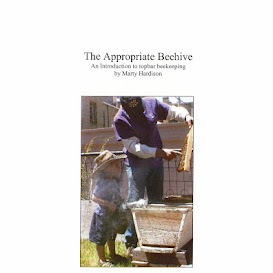 It's always good to keep a look out for those biological clues about how to time beekeeping activities.